Broncos and former QLD coach plus past and present players talk about Cameron Smith's Origin record. Rugby League STAR Queensland halfback Cooper Cronk will take his place in tonight’s opening State of Origin game in Sydney. 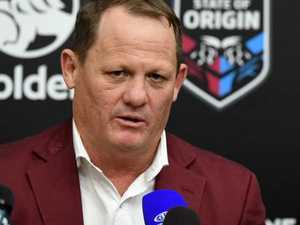 Sport He's coached Smith in all 317 of his NRL games and Craig Bellamy has some intriuging insights into Cameron Smith. Opinion IT IS time to prepare the annual bout of self-flagellation following tonight’s first State of Origin match. Rugby League WHILE much has been made of Queensland captain Cameron Smith setting a new record rival skipper Paul Gallen is hoping to write his own fairytale.